Shotokan karate is a traditional Japanese style martial art. We train in the Kearsarge / Sunapee region of New Hampshire under chief instructor Gayle Fleming, a 4th degree black belt. We are a NAKF affiliated dojo under Master Kazumi Tabata. Karate is for everyone from ages 6 to 99. 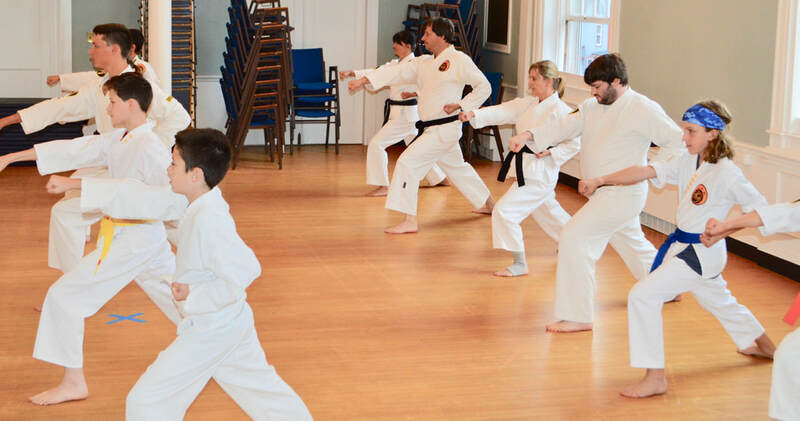 Karate improves focus, coordination, physical fitness and self defense, and it's lots of fun! Call us today to get started!